Begin Again Backpack - The Central Missouri Foster Care and Adoption Assoc. : The Central Missouri Foster Care and Adoption Assoc. Have your family, church or civic group take up a collection for our Begin Again Backpack program to help kids as they enter foster care. Needed items include: diapers, pajamas, socks, underwear and blankets. Can you imagine if you, as a child, had to leave the only home you ever knew with only the clothing on your back and whatever would fit into a trash bag? This is why the Begin Again Backpack exists. As children enter foster care they are often not allowed to bring their personal belongings with them. This can only add to the trauma that they are experiencing. It is our goal to alleviate the trauma and provide each foster child with a sense of belonging, stability, and ownership. This program supports the competency of protecting and nurturing the children. The aim of this program is to present every child that comes into foster care in the Central Missouri area with a backpack filled with toiletry, school, and personal items that will help ease the transition process that they experience when moving from their biological home to a new foster home. In 2018 CMFCAA is working to provide more partner locations to hold and distribute our resources such as Begin Again Backpacks to make them easier to access for our families in farther counties. 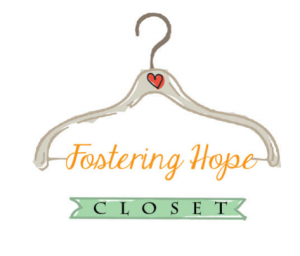 We are currently Partnering with Fostering Hope Closet in Lebanon to distribute Begin again backpacks and vouchers in Laclede and surrounding counties. Please continue to contact CMFCAA main office to arrange using these resources. If you have a business, charity, church group, or other facility that would be interested in becoming a distribution partner with CMFCAA please contact our Administrative Assistant in our Jefferson City Office. Help at a moments notice.